Located approx. 7000 ft (2000 m) above Sea level and 28 kms from Kathmandu international airport, Nagarkot is a world famous hills station commanding breathtaking views of the majestic Himalayas, rolling hills, deep valleys, lush pine forests in a quaint rural atmosphere. Situated in a strategic location, Nagarkot was an ancient fort of the Kathmandu valley to monitor external activities of another kingdoms. Later, it bécane a summer retreat places for the royals before becoming popular as an international hill station. 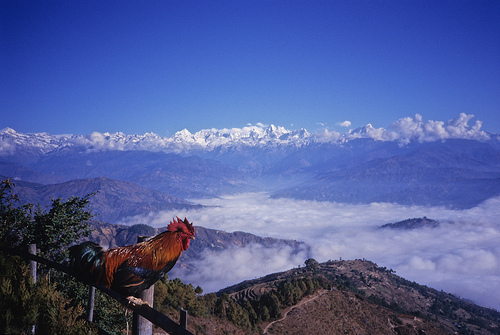 Considered as the best viewpoint spot to enjoy the magnificent sunrise and sunset with spectacular Himalayan vistas, Nagarkot commands one of the broadest views of the snow capped Himalayas in the Kathmandu valley ( 8 Himalayan ranges of Nepal out of 13 from here). 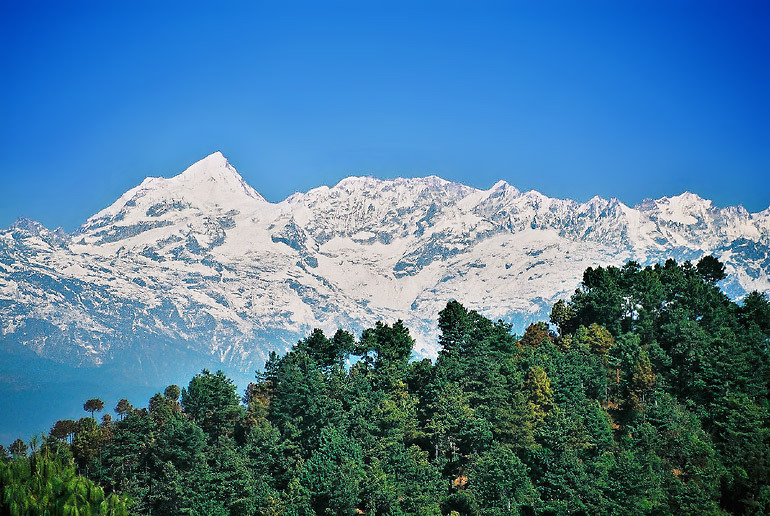 The ranges include Annapurna range, Manaslu range, Ganesh himal range, Langtang range, Jugal range, Rolwaling range, Mahalangur range( Everest range) and Numbur range with splendid views of the Kathmandu valley and shivapuri national park. 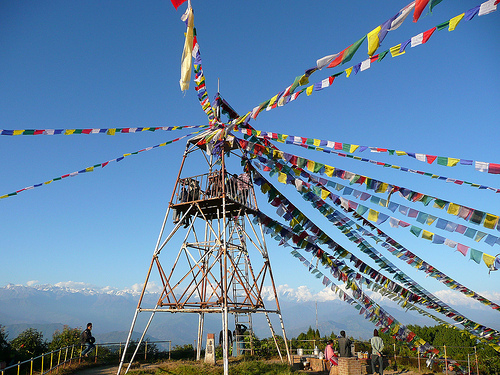 So near yet so far from heat, dust, smoke and city's hustle-bustle, Nagarkot is a small village where tourists love to come here for acclimatization before heading to trekking or for a good rest after trekking. Locals love to come here to enjoy the beauty of nature with fresh mountain air and to rejuvenate their body, mind and spirit in a tranquil atmosphere. Pine forests, a quiant rural atmosphere perched at 2175 metres with 360 degree killer views of Snowcapped Himalayas, rolling hills, forests, valleys,etc and magnificent sunrise and sunset with views of the kathmandu valley to the west. So near yet so far from heat, dust, smoke and city’s hustle-bustle, Nagarkot is a small village from where we can see the breathtaking views of the major himalayan peaks of Nepal like Manaslu, Ganesh, Langtang, dorje lakpa, sisa pangma, choya, gauri shankar, etc. 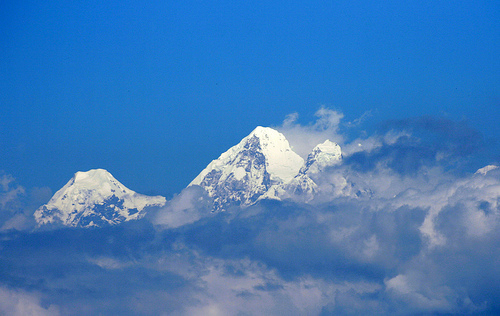 On a clear crystal day, one can even see the tip of the Mount Everest from here. The top activity at Nagarkot is sitting back and gazing at the long-wall of snow-covered peaks that stretches out as far as you can see. Fog and low clouds obscure the views from April till September..On evenings, its really chill on an altitude of 2000 metres of windswept ridge of Nagarkot Hillstation. If you plan to stay over-night during the high-season ( winter time) from October to March, it is best to book your hotel room in advance, as they often become full later in the day. If you arrive later in the afternoon, you may have to take whatever you can get which may mean a room without views.